CLOSER’s research into the rise of the obesity epidemic across five generations has been cited in the Government’s Child Obesity Strategy. The study – believed to be the first of its kind – tracked increases in body mass index (BMI) for more than 56,000 people born in the UK from 1946 to 2001. It was carried out by researchers at the MRC Unit for Lifelong Health and Ageing at UCL, MRC Human Nutrition Research at Cambridge, and the UCL Institute for Child Health. 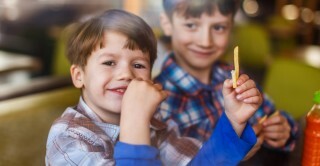 Other longitudinal evidence used to support the strategy has shown that 5-year-olds from the poorest households are twice as likely to be obese compared to children from better-off homes. By age 11, they were almost three times as likely to be dangerously overweight. Longitudinal studies have also been used to justify specific measures outlined in the strategy. Research from the Millennium Cohort Study released earlier this year found that taking part in organised sports outside of school improves children’s educational attainment. The Government’s strategy emphasises the importance for children getting a least an hour of physical activity every day, and includes measures to support school sports. Funding for school sports and breakfast clubs will be boosted from revenues of the Soft Drinks Industry Levy – or so-called ‘sugar tax’ – that comes into force in 2018. Longitudinal evidence has also been cited in the HM Treasury’s consultation document on the levy.